Being a Mother commands a large proportion of your time and energy. Looking after your family is love in action, and to sustain the high levels of nurture it is vital to remember to give yourself something back. Love also needs to begin at home - with yourself. Self-massage creates an opportunity to come home to yourself, to care for your whole being as your best friend. It gives you the opportunity to gently nurture your sensuality, ground your energy and draw up fresh vitality into your mind and body. This technique requires minimum preparation - no oil & you can be fully clothed – just a warm, quiet space for you to connect back to yourself and an infinite well of loving energy from which you can draw upon in any given moment, so you can continue to come home to yourself again and again. Vigorously rub the palms of your hands together and place them over your eyes. Take a couple of long exaggerated breaths in through your nose and exhale out through your mouth. With every exhale, allow any tiredness to melt and drain away. With love, stroke the palms of your hands over your head smoothing out and releasing any tension. Gently brush your hands over your face and feel the warmth radiating out and relaxing each muscle - allowing any worry lines to fade and disappear. With your fingers, gently draw tiny circles around your temples, around your eyes and underneath your jawline and any where else that you need to dissolve tension and generate healing. Massage the back of your neck using enough pressure to iron out any knots or tender points. Stroke out any stagnate energy along the tops of your shoulders, down each arm and shake it out through your hands, as if you were shaking off water. Brush your hands down the front of your body and legs, to your feet. Massage your feet. Be sincere with your touch. Reach behind your back and rub your kidneys on either side at the base of your spine. Rest your warm palms on the back of your pelvis, around your sacrum. Feel the warmth and heat of your hands easing away any tenderness, tiredness or strain. Feel love deep within you as you lay your hands onto your body, anywhere that feels drained or overworked. Supporting your body with loving energy & soak in a feeling of wellbeing knowing that this is accessible to you anytime you need it. As you massage - and especially once you're done - notice how your heart rate is lower and you feel more balanced, connected to yourself, clear & relaxed. 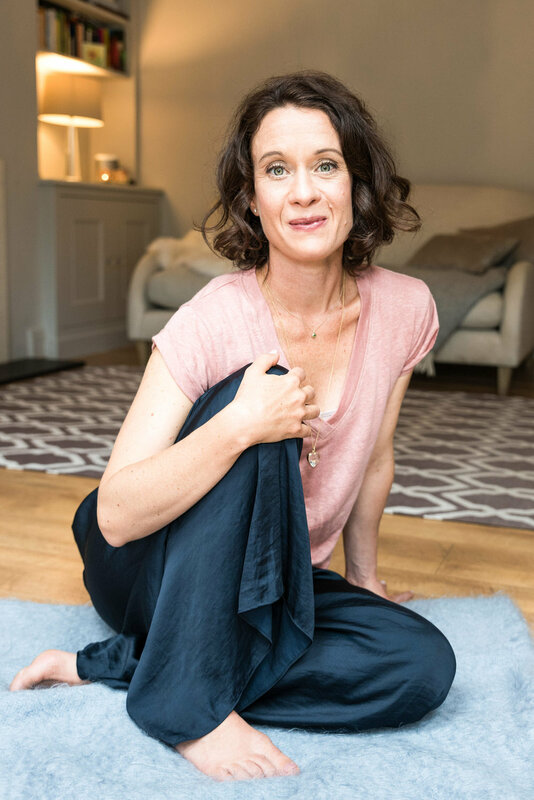 Put this self-massage technique in your toolbox as another way to feel embodied, grounded and replenished, helping you to hold all the pieces of your journey to Motherhood & Mothering life with a little more grace and ease.